Link first passed the Death Mountain Crater on his way to the Fire Temple in Ocarina of Time, but it was a lot more blocky and a lot less particle effect-y back then. The creator of this map is of course none other than CryZENx, whose shiny Unreal Engine 4 recreations have entertained us many a time in the past. 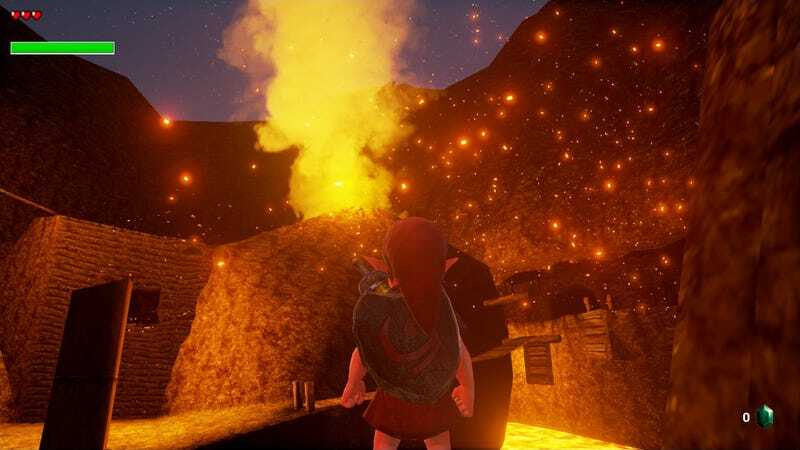 His latest project portrays Death Mountain’s fiery interior, starring, interestingly, child Link in the Goron Tunic. And, if you want, you can grab the demo through a link in the video’s description. Don’t fall in the lava, though. Or rather, on the lava.